iRemove Tools Review - Does It Really Bypass Apple ID? iRemove Tools Review – Does It Really Bypass Apple ID? One challenge that many iOS users face is dealing with iCloud lock. It’s a hard nut to crack and most time it’s unnecessary. If your iPhone is locked with iCloud lock and you can’t recover the password, you should try out some lock removal tools which are readily available to get rid of the lock. You can imagine getting locked out from using your iPhone and accessing the files in your device. You know what that means right? You certainly wouldn’t be able to use your device to do anything and it’s quite frustrating to be locked out from accessing important files in your iPhone. Learn how you can effectively unlock your iCloud account using some removal tools. iRemove tools is a software engineered to bypass Apple ID account on all activated Apple devices. This tool which removes Apple ID works on any iPhone, iPad and iPod touch (both GSM and Wi-Fi models). It currently supports all iOS versions up to iOS 11.3.1. An important information you should know is that iRemove tools doesn’t support iOS 11.4 and higher. It is easy and efficient. It bypasses Apple ID accurately. The tool’s website has incredible support with free tutorials to use. It’s not a free service. Hence, you have to pay $29 for the service to unlock one device. It doesn’t support iOS 11.4 versions and higher. It doesn’t support an device with iCloud activation lock screen. A recommended alternative to iRemove tools is iMyFone LockWiper. It’s a great tool you can use to unlock your iPhone from iCloud account and Apple ID without password. iMyFone LockWiper is a professional iPhone unlocking tool that has amazing features and functionalities of which you can comfortably remove iCloud account lock. 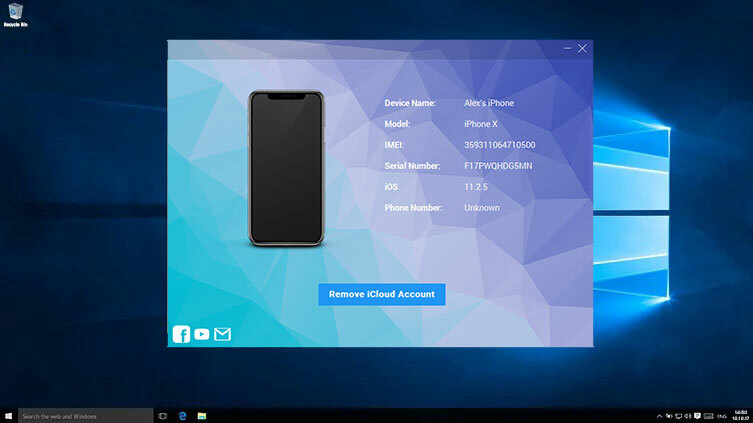 The reason many people love this tool is because it completely removes iCloud account without using any password and allows you to setup a new Apple ID and password, so that you can have fun with your iOS device. 1. Download, install and launch iMyFone LockWiper on your computer. Select “Unlock Apple ID” mode. 2. Connect your iPhone to the computer and wait for your iPhone to be recognized. Then, click the “Start to Unlock” button. 3. You’ll need to reset the settings on your iPhone and restart the iPhone. Then LockWiper will start the unlocking process. 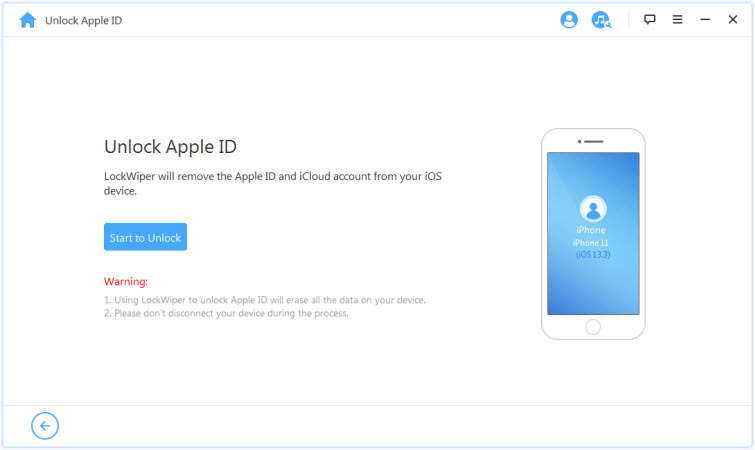 Once the unlocking process is complete, the previous Apple ID and iCloud account will be removed. You can now create your own Apple ID and enjoy all features of your iPhone. It’s a complete self-service program which is easy to use and quick to finish the whole process. It doesn’t require the IMEI code of your iPhone. After removal, your iPhone won’t be blocked by the previous Apple ID user. It has free trial available. You can check whether your device is supported or not before you make the payment. 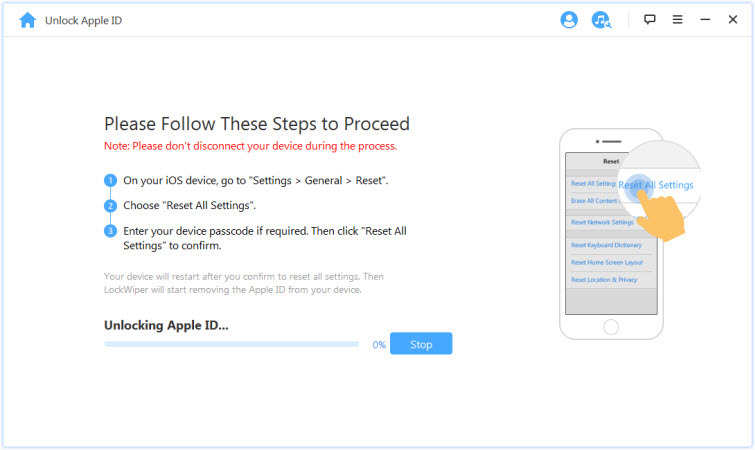 iRemove Tools can bypass Apple ID for some specific iOS devices. As a perfect alternative of iRemove, iMyFone LockWiper will be your better choice which supports more devices. 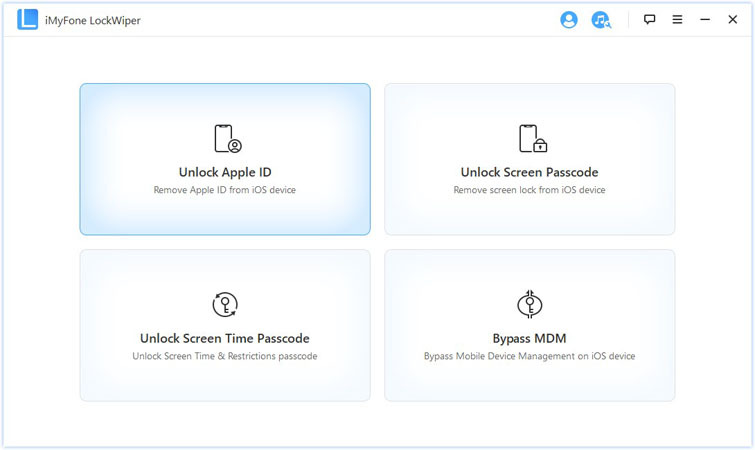 LockWiper not only remove Apple ID and iCloud account, but also unlock iPhone screen passcode easily when your device is locked or even disabled.